For a nonprofit founded to inspire citizen action on complex land use laws, Merry Ann developed a website and simple, attractive Mailchimp enewsletter templates and content. Web development included defining brand voice, procuring visual assets, setting up the theme, writing and loading all content, collaborating on revisions with a large committee and integrating a new email marketing tool. For email marketing, work included setting up designs for monthly and single-issue newsletters, creating segmented distribution lists, writing and editing articles, sourcing and compressing photos, A/B testing and managing distribution. The project also required setting up a governance process for ushering content through a large committee. 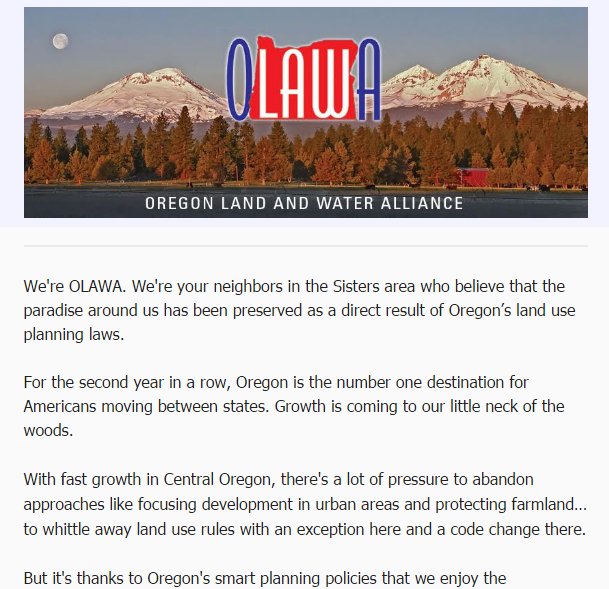 Created an enewsletter campaign to engage audiences, generate awareness of land use issues and position the organization for funds.